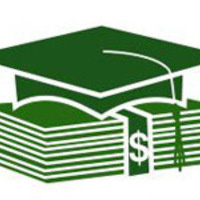 Sponsor - Industrial Access, Inc.
Industrial Access, Inc. will award a $3,000 scholarship to one student that is or will be enrolled in an engineering school or field of study. As an advocate of higher education, Industrial Access, Inc. is looking forward to helping a dedicated engineering student with their academic finances in the upcoming 2018/19 school year. We will be awarding a $3,000 scholarship to a deserving student who displays a passion for the engineering field, has a good academic record in High School and who has significant volunteer activity. Students who qualify will be studying engineering with a track in environmental, structural, civil, mechanical, electrical, geotechnical, chemical, project management, architectural or management. • Application must originate from a participating college or university that has listed our link on the school's website in accordance with the instructions provided to each school.